Remember when Lotus revealed an ambitious plan to release five all-new models in the next few years? Then remember when they cancelled four of them and kept working on the Esprit? 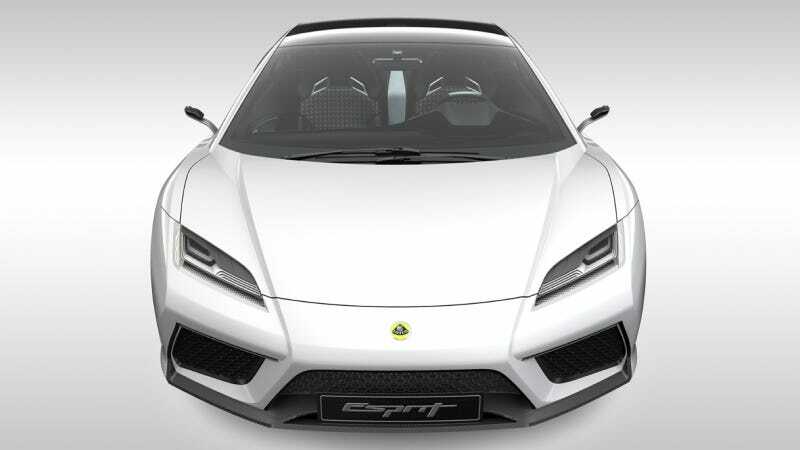 Yeah, now they've cancelled the Esprit too, and all is right with the world. The five-model onslaught was the brainchild (thought I'm not sure he had a brain) of Dany Bahar, the former CEO of Lotus. It was one of those things that you knew would never happen as you were looking at it. A huge sedan? A Porsche 911 fighter? An Elise that looks like an anime character? Come on. But the Esprit looked like it had a fighting chance. It was an attractive (though a bit derivative) design, promised to be lightweight, and have gobs of power to take the fight to Ferrari and Lamborghini. But there were holes, like what engine it would use. First we heard Lexus. Then we heard Lotus would build its own engine. When Lotus was purchased by DRB-Hicom, the Esprit (and the whole company) was put in jeopardy, but Lotus kept pulling a Baghdad Bob and said that everything was fine. DRB-Hicom just agreed to a plan to fund the company for three more years, but that came at the price of the Esprit, which is now dead. Instead, Lotus will keep doing what it does best: Building lightweight sports cars. The current range of the Elise, Exige S, and Evora will continue for the foreseeable future with updates to keep them current. Good. Lotus is my favorite automaker and I'm fine with this plan. I haven't driven any of them, but it sounds like they're perfection. I'm excited they'll all be sticking around. You keep on being you Lotus! Just don't let Bahar anywhere near the keys to the company.